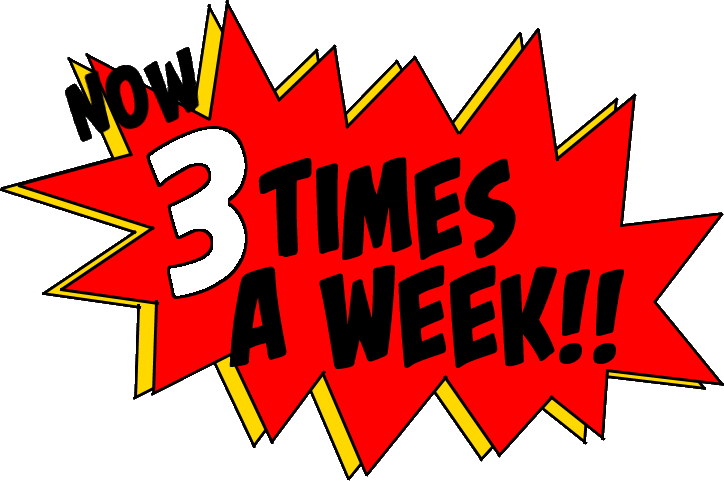 Yes, Monday, Wednesday and Fridays are now Mash-Up days. I got so far ahead with these I couldn’t wait to spring them on you so am bringing them forward. The second change is that I’m no longer just using comics that I own, but instead I’ll randomly generate two dates and then find covers on the net for those dates and, with a little basic photoshopping, I’ll mash them together, and force the results on you lovely people. That means we’ll have more than just DC characters with the occasional Marvel character popping up in the coming months. Because ruining one comic book marriage is never enough . 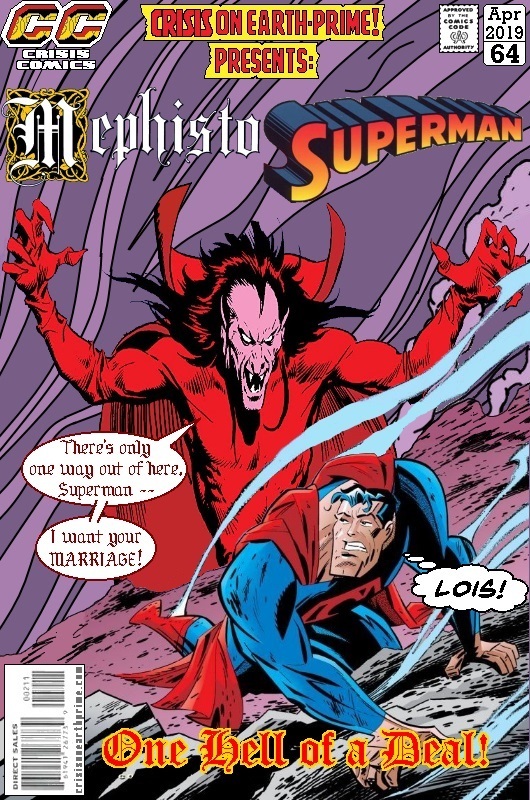 . .
Posted on Monday, April 1, 2019 Saturday, March 23, 2019 by GaryPosted in Mash-UpTagged Mephisto, Superman. Damn Gary, why would you want to do that to Supes? Ha ha. Congrats on branching out into doing this thrice a week. Just a friendly word of advice; don’t do it so long that you run the risk of creatively getting burned out. The same thing happened to me when I use to write, edit and post skits 4x a week a few years back. I had to scale back due to getting burned out, so hopefully you avoid the same pitfalls. Hey, when’s the next time you plan on making any more of your lego skits? I miss them. Plus we outta’ collaborate again on one. Whenever of course. Carry on….. Thanks for the words of advice – I’m enjoying these and, like I said, have so many done that I wanted to bring them forward. I’ve just completed #147 and am planning to take a break after #150 and get back to annotating INVASION. No plans for the Lego skits – they took so long to do, especially when I was creating new characters. Ahhhh, but I liked them 😦 No I hear ya’ man. #150. Damn Gary you must be just pumping those fuckers out like an assembly line huh?